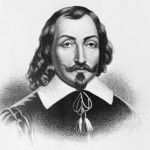 Samuel de Champlain was a French explorer who found Lake Champlain so beautiful, he named it for himself. He was also an excellent artist, fascinated with botony and zoology, and admired for his bravery and religious tolerance. And Champlain earned the respect of Native Americans, french noblemen and warriors. All this week, VPR Commentator Mike Martin introduces us to the man who brought the Old World to North America. Listen during Morning Edition for "Through the Eyes of Champlain". It’s part of VPR’s summer-long Champlain 400 series examining the history, people and culture of our region. On Friday, he offers a brief glimpse of the man himself and the image most people associate with him.